As a PA man plans to buy the failed company behind a major Jewish housing project in Jerusalem, a Jewish company wants to put in an offer as well. A Jewish company is making a last -minute effort to prevent a major Jerusalem project from falling into the hands of the Palestinian Authority. The Nof Tzion housing project in Jerusalem is currently owned by the Digal company, which is facing bankruptcy. The preferred buyer for the company's bonds is an American businessman with roots in the Palestinian Authority-controlled terrority in Judea and Samaria, according to Globes. The man owns the Cypriot company Techsal Trading Limited. Working through Israeli attorney Dov Weissglass, he has offered 60 agorot on the shekel for Digal bonds, or 36 million shekels. Nof Tzion has been Digal's central project. Located near the Armon HaNatziv neighborhood in Jerusalem, it was to include 395 luxury apartments. The project drew fire from far-left groups such as Peace Now due to its proximity to homes in the Arab neighborhood of Jabel Mukaber. In its first stage, the project lost NIS 15 million. After the PA businessman's offer was revealed, the Israeli company B'Emuna expressed interest in purchasing Nof Tzion, and said it would make Digal a last-minute offer. The head of B'Emuna, Yisrael Zeira, said he would like to buy the land on which Digal had planned to continue building the Nof Tzion project. B'Emuna specializes in housing projects for the religious-Zionist public, particularly in the Jerusalem area and central Israel. 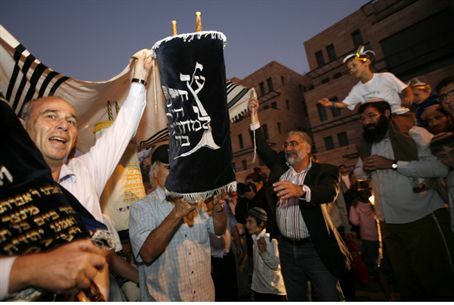 It has made headlines for pursuing projects in mixed Jewish-Arab cities, where the presence of religious-Zionists sometimes angers local Arabs and anti-Zionist organizations; projects in Yafo and Lod have faced Arab opposition, that is aided by New Israel Fund-supported groups. Digal has been selling off property, including a building in central Tel Aviv, two stores, and office space, in an attempt to pay back creditors. Bank Leumi is the company's principal lender, and is currently owed NIS 84 million.